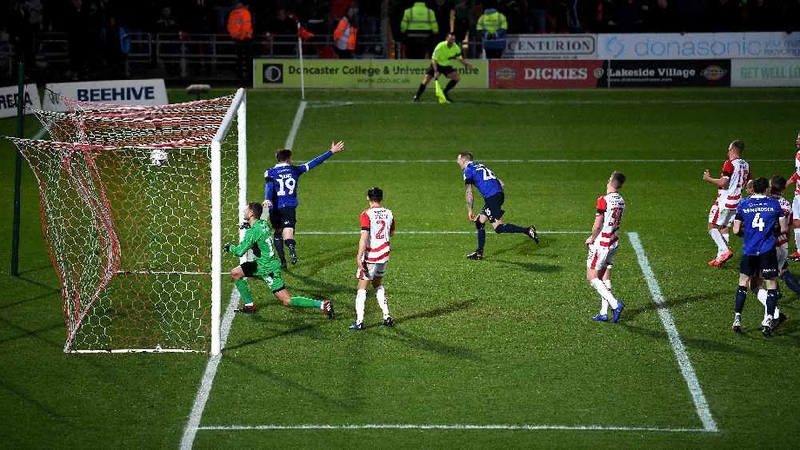 Oldham Athletic’s dream run in the FA Cup has come to an end following a 2-1 defeat at Doncaster Rovers which left some questioning decisions made by the match officials. Latics captain, Peter Clarke, was heavily involved in all three goals including having a hand in the home side’s last-minute penalty which ultimately gave them victory and dumped Pete Wild’s men out of the competition. 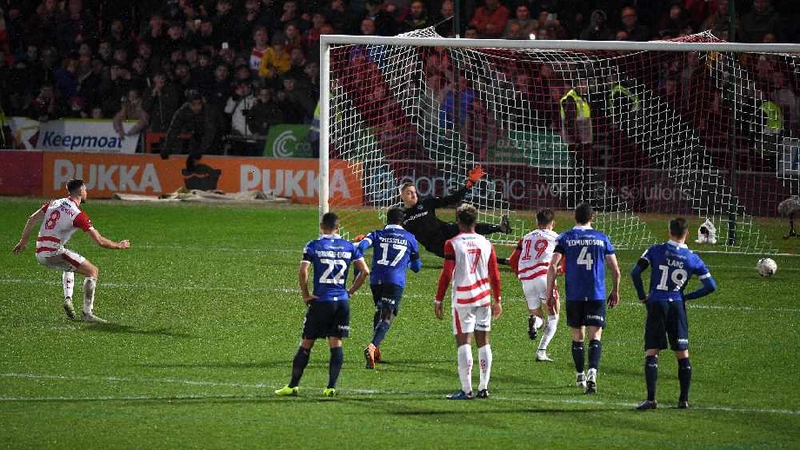 After a first half which struggled to get going, although Clarke did clear off his own goal line, Doncaster took the lead just after the hour mark, Ben Whiteman’s shot was deflected off Clarke’s head which wrong footed Daniel Iversen who could only watch as the ball entered his goal. Clarke would go on to redeem himself six minutes from time by scoring, what many thought was a late leveller to send the tie to a replay at Boundary Park. The veteran thundered home a shot from close range to send nearly 4,000 Latics fans crazy behind that goal. However, the 36-year old, who went from villain to hero, would go back to villain, it was his handball in stoppage time which was spotted by the linesman and gave Rovers a penalty which Whiteman dispatched, sending Iversen the wrong way in the process, to book Doncaster’s place in the fifth round for the first time in over 50-years. 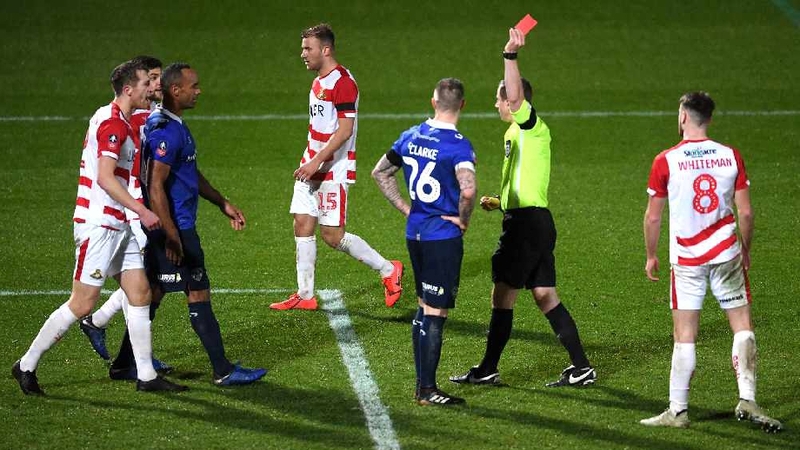 Clarke wasn’t done though as Latics pushed for an equaliser, he was adjudged to have fouled goalkeeper Marko Marosi after a coming together, the referee showed him a second yellow card and dismissed him. That put pay to any chance Oldham Athletic had of getting back into the game with the referee putting them out of their misery a short time later with the final whistle. It ends a remarkable FA Cup run which has seen the team go to the likes of Hampton and Richmond Borough, Maidstone United and, of course, Premier League Fulham and come back victorious. Next up for Latics is a trip to Milton Keynes Dons on Tuesday night (29th January) in League Two.